Apple has finally unveiled a taller, lighter and speedier iPhone on September 12 that's poised to become the fastest selling technology gadget in history. According to Wells Fargo expects it to be the single-biggest consumer electronics launch in history and that many analysts, including Piper Jaffray's Gene Munster, estimate Apple could easily sell 170 million iPhones in the coming year. According to sources like MSNBC and Bloomberg, the iPhone 5 will likely be Steve Jobs' "final masterpiece". It is his final project before he died was the iPhone 5. It was the last project he worked on, and he worked closely on every detail. This was his final masterpiece to bequeath to Apple. 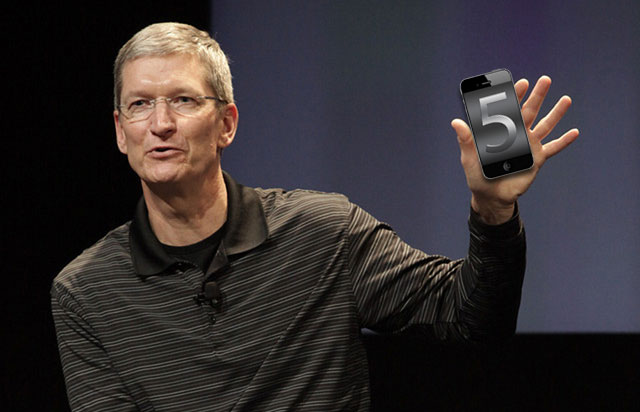 COE Tim Cook took the stage in San Francisco Wednesday to tout iPhone 5, which runs on faster wireless networks, boasts a bigger screen and has a chip that handles tasks more quickly than past versions. While the event had few surprises, Apple is betting that the device is loaded with enough features to set it apart in a market swiftly crowding with phones by Nokia Oyj, Microsoft Corp. The iPhone 5 offers a larger screen, 4G connectivity and a slightly tweaked design. The new iPhone - the world's thinnest smartphone at 7.6mm (0.3 inches) - is made entirely of glass and aluminium, something Apple says is "unlike anything we, or anyone in the industry, has made before."